The link between Heaven and Hell is nothing less than a soul. Fleeting…fragile…easily corrupted. And the thing that goes bump in the night is nothing more than a heart, pounding out songs of desire, obsession, and fear. 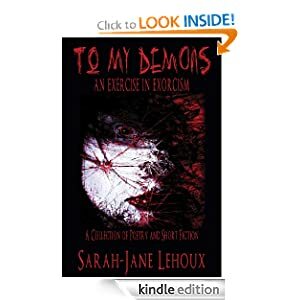 To My Demons is a haunting examination of dark side of the human condition. Some of the stories have been previously published; some have not. Some have a decidedly supernatural element, while others are all too real. From a murderer’s ghastly recollections, to rotting, shambling reminders of a man’s misdeeds, to a modern day fable of oppression and liberation, To My Demons is an exercise in exorcism. 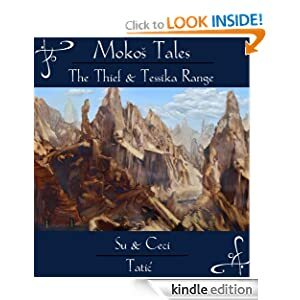 Welcome to Mokos, a world with two moons, a world of many different races, a world where magic is real and nothing is impossible. Percival Ares, a thief with a secret, has become the latest unwilling employee of a powerful mercenary organization. Percy’s secret is also a source of his unique talent and abilities, and he’ll need to use every bit of it to survive one of his first assignments. Sent to Tessika Range, a place awash with chaotic fae, Percy and his mercenary companion Hayla will face monsters, and secrets that refuse to stay buried. In ""Year of the Chick,"" Romi Narindra must find love before her parents find her a husband. Easy to say, less easy to live through, as this book takes you deep inside ""awkward Indian living in the West."" To escape her fate, Romi wades through the waters of secret-dating, where self-consciousness is at an all-time high, and experience at an all-time low. It's the sort of thing that would turn almost anyone into a man-crazy freak with romance tunnel-vision, and that's exactly what happens to her. All the while, a lack of inspiration in her corporate job leads Romi to her love of writing, in what quickly becomes a man-quest play-by-play. From whiskey-breath scum bags to uni-brow creeps and everything in between, Romi and her wingmen come up empty time after time. And that's when she meets a fellow writer. So will it be arranged marriage doom, or an Internet affair that's not as creepy as ""To Catch a Predator""? 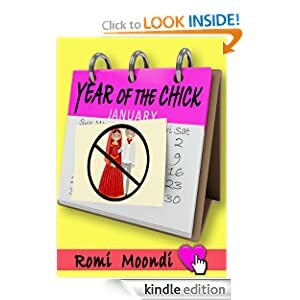 Time will tell in the ""year of the chick,"" a twelve-month quest to find love. ""Year of the Chick"" is book one of a series, with the sequel ""Last-Minute Love"" available now! DISCLAIMER: this book contains profanities, blunt accounts of the dating scene, and many awkward family moments. Enjoy! The end date for this free promotion was reported by the author. Please double check the price if you want this book for free. 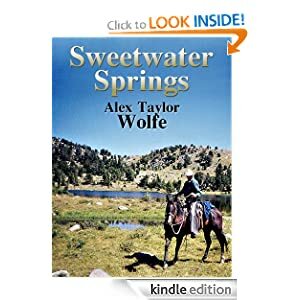 In the spring of 1900, Katie O'Hare returns to Sweetwater Springs ten years after being orphaned by a murderous act that left her with nothing but an old pocket watch and scattered memories. Reluctantly she begins to fall for Tyler Reynolds, a rugged young cowboy with a troubled past. As their romance deepens, they find themselves tragically connected to a secret that puts their love and their lives in danger.